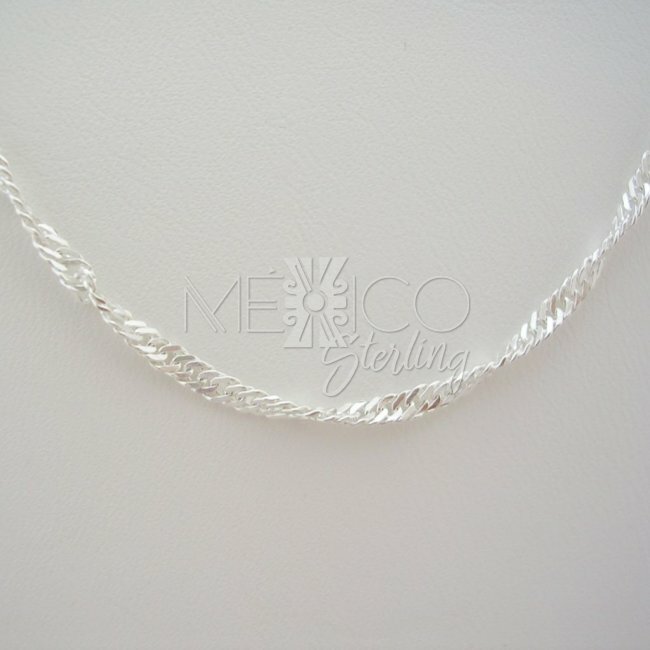 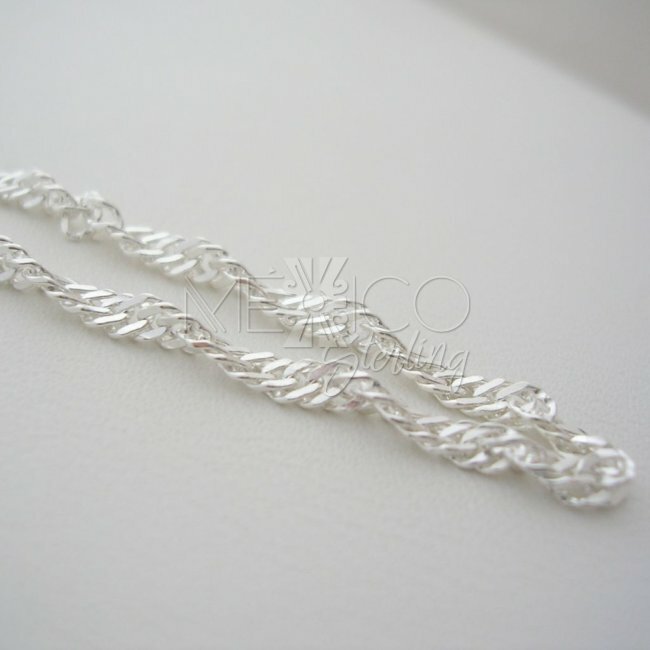 Taxco Sterling Silver Chain with a Twist [Ch.Twist] - $14.00 : Mexico Sterling Silver Jewelry, Proundly from Mexico to the world. 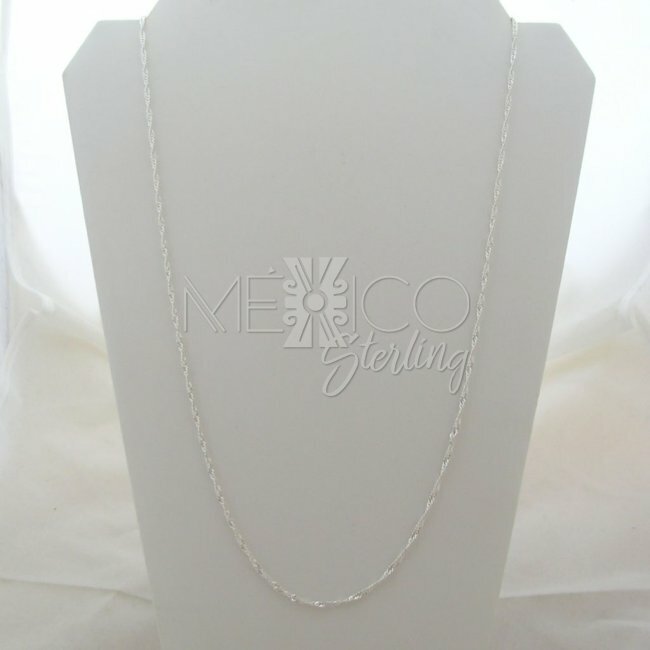 Dimensions: W: 3 mm L: 21½ " and 27"
Sterling silver chain with a special charm. 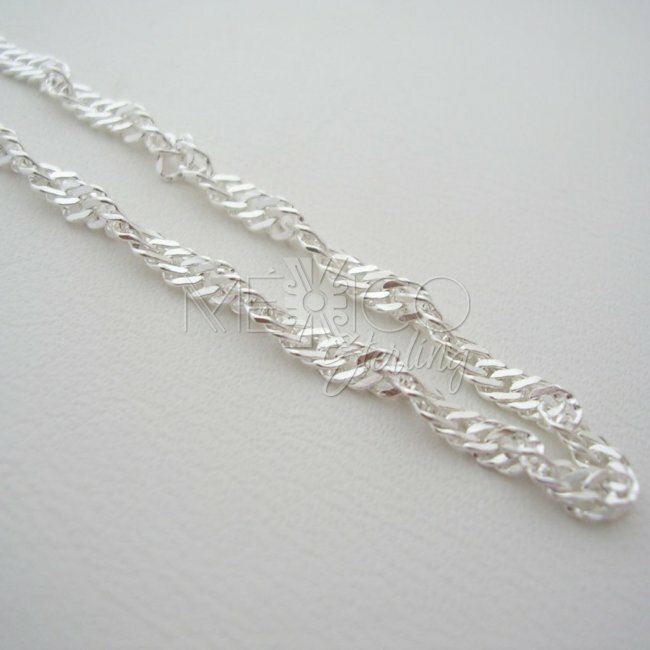 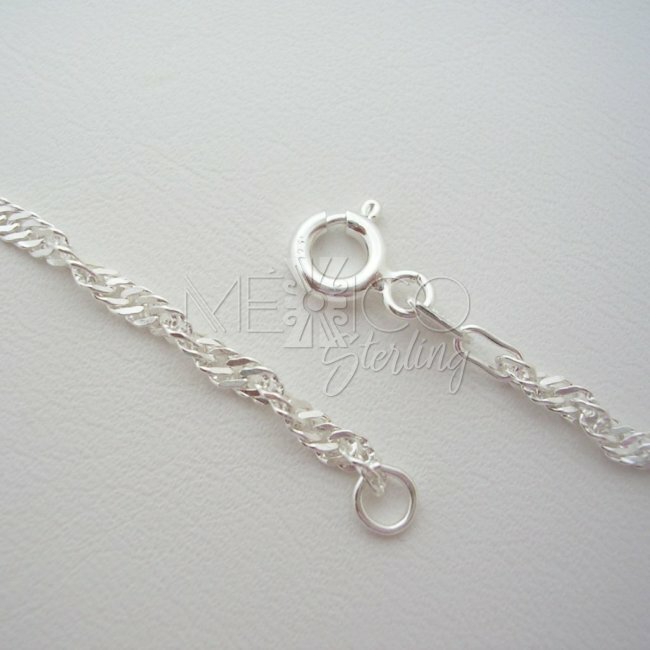 This nice silver chain 925 has a classic knit but with a twist, literally. 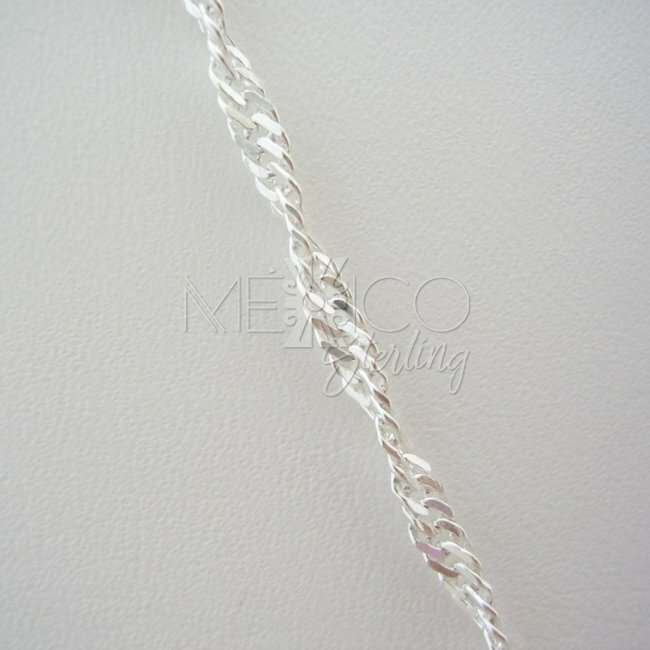 This piece of jewelry is twisted from tip to tip, making it look unique and adorned enough to be able to wear it by itself, it really does not need any other jewelry accessory like a silver pendant or silver cross, to make it even nicer than it already is.